Have a loved one at our community or looking to join us at Prairie View? 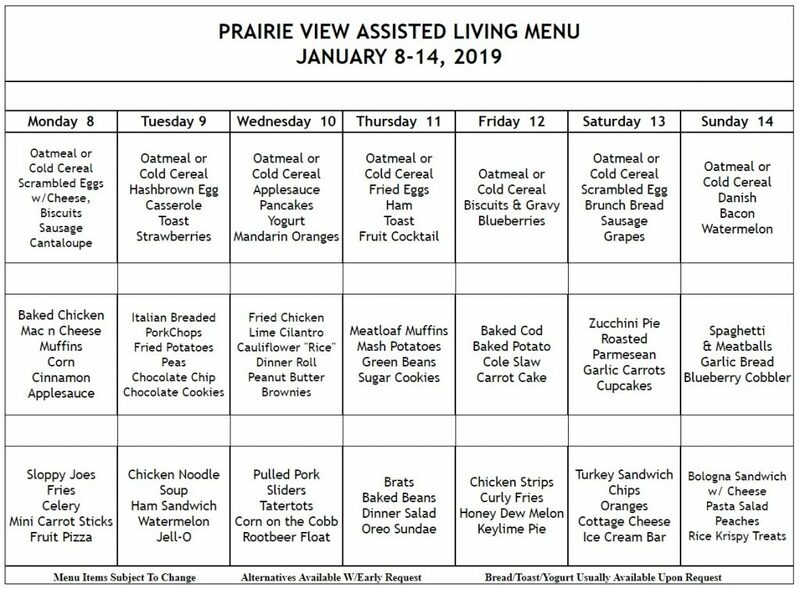 Below is our most recent menu to give you an idea of the type of meals expect with us! If you have any questions about dietary restrictions or would like to learn more, please don’t hesitate to reach out! You can reach us by calling (815) 335-1800 or filling out the form below.